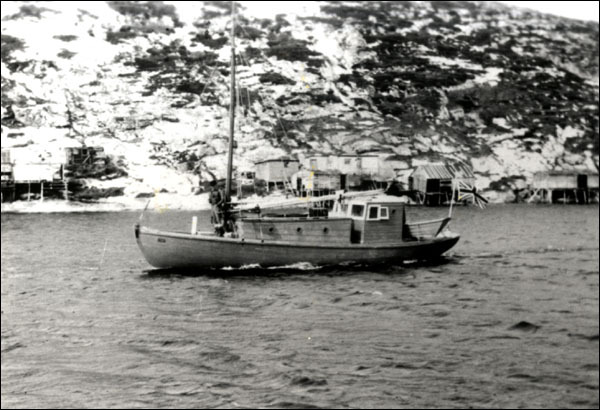 The Commission of Government created the Newfoundland Ranger Force in the winter of 1935 to provide government services in isolated and northern parts of the country. During the 15 years of its existence, the force was an important link between the government and outport residents, who had no elected officials to represent their needs while the Commission was in power. Rangers were particularly important in Labrador, where they were often the only liaison between the people and their government. 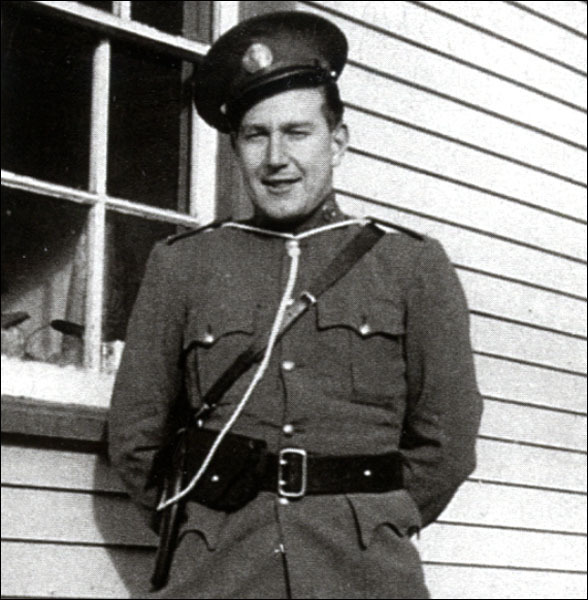 The Commission of Government created the Newfoundland Ranger Force in 1935 to provide government services in isolated and northern parts of the country. Photograph courtesy of Norman Crane. Rangers were well-educated and physically fit young men able to perform a variety of tasks with little supervision. They issued relief payments to the poor, enforced criminal and game laws, inspected logging operations, helped build roads, bridges, and other public works, collected custom duties, and performed a variety of other roles. When the force dissolved in 1950, many rangers joined the Royal Canadian Mounted Police. When the Commission took office in 1934, the Royal Newfoundland Constabulary (RNC) was the country's only police force, but its presence was limited in rural areas. In 1933-34, about half of the RNC's approximate 170 men served on the Avalon Peninsula. The others were dispersed across Newfoundland and Labrador. Wishing to strengthen their administration in more isolated areas, government officials formed the Newfoundland Ranger Force. They intended the unit to serve as more than a traditional police force and a ranger's additional duties included those of health inspector, welfare officer, game warden, and forest officer. The Commission of Government modeled the new unit on the Royal Canadian Mounted Police (RCMP), a para-military organization that performed a wide variety of roles, particularly in Canada's remote and northern regions. While the RNC continued to patrol the country's more populated areas, including Corner Brook, Grand Falls, and the Avalon Peninsula, the rangers took up postings in remote areas. 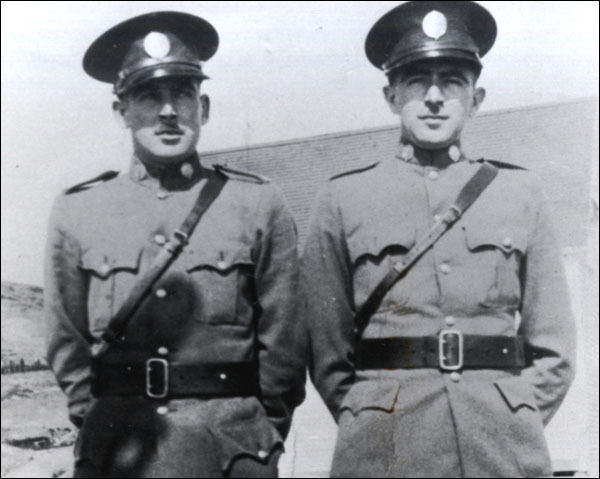 In September 1934, Natural Resources Commissioner John Hope Simpson visited Ottawa and secured the services of RCMP Sergeant-Major Fred Anderton to create a training program for the rangers. The first recruit, Brian J. White, joined the force on 9 July 1935. By the end of that month, 30 men were training at Ranger headquarters in Whitbourne. 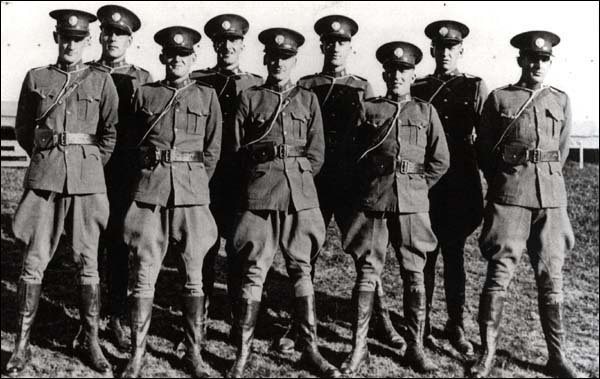 Pictured here are some of the first 30 men to join the Newfoundland Ranger Force. Strict requirements governed who could enlist in the force. Trainees had to be physically fit, between the ages of 21 and 28, stand at least 5’ 9” high, and weigh no more than 185 pounds. They also had to possess a Grade 11 education, which excluded many men from the application process in the 1930s and 1940s. Enlistment was for a five-year period and if a ranger wished to retire before that he would have to pay a fee. Recruiters only accepted single men into the force, but any ranger wishing to get married could ask for permission after completing five years of service. Rangers who got married without seeking permission risked expulsion from the force. The government issued uniforms to all new recruits and expected them to maintain a neat and professional appearance while on duty. Ranger uniforms closely resembled those worn by RCMP officers, but were khaki instead of red. The men wore fur caps and overcoats in the winter and a blue serge dress uniform for formal occasions. After three months of training, the first group of 30 recruits proceeded to their assigned postings. Seven rangers worked at the Whitbourne headquarters, while 23 patrolled remote detachments scattered across the country at 16 locations – six in Labrador and 10 on the island. There was often only one ranger at each of the detachments and the men sometimes found it difficult to adjust to the loneliness of living in isolated communities. Rangers proceeding to Labrador also had to build their own living quarters and office space. Each ranger had to patrol a large territory, but could only travel by the most inexpensive means – usually foot, dog sled, or boat. Rangers occasionally travelled by rail, but frequently in second class. The force also had a few motorcycles and cars, but these were generally restricted to the more populated centres at Deer Lake, Badger, and along the Burin Peninsula. Newfoundland Rangers had to travel by the most inexpensive means – usually foot, dog sled, or boat. The force owned a few motorcycles and cars, as well as three patrol boats known as 301, 302, and 303. Once in the field, the inexperienced recruits had to rely on their own judgment with little supervision. Rangers were usually the only government representative in a community, particularly in Labrador, and therefore had to make numerous decisions without consulting colleagues or superiors. The varied nature of their work meant they had to address a wide range of problems. Some were routine, like collecting customs duties, while others were more complex and emotionally taxing, like the issuing of relief payments. Although rangers worked directly under the Department of Natural Resources, they performed a wide range of duties for all six government departments. These included collecting customs duties and other fees for the Department of Finance; enforcing criminal law and investigating suspicious deaths or fires for the Department of Justice; inspecting logging camps, issuing game licenses, and enforcing game laws for the Department of Natural Resources; issuing relief payments for the Department of Public Health and Welfare; helping to build and maintain roads, wharves, and other structures for the Department of Public Utilities; and acting as truant officers for the Department of Home Affairs and Education. Newfoundland Rangers had to perform a wide range of duties with little supervision. Rangers also submitted a monthly General Conditions Report to the government, outlining the number of people on relief in each detachment, how much money was being spent on relief payments, what fishing, logging, construction, and other activities were taking place, and how the population was faring generally. At first, the rangers met with a mixed reaction from the public. Residents in isolated communities appreciated having a government representative on hand to address their concerns and act as a link with St. John's, but were wary of the rangers' mandate to enforce some of the country's less popular laws, particularly those governing hunting and fishing practices. Many people in rural communities depended on their ability to hunt game and catch salmon to survive, especially during the Great Depression. However, no open season existed for big game in the mid-1930s, and if a ranger caught someone illegally hunting moose or caribou, he could take them to a magistrate who could issue them a fine for $20. Most people in outport and northern settlements welcomed Newfoundland Rangers into their communities. The rangers, however, were usually sympathetic to the plight of the country's poor and most people welcomed them into their communities. Unlike the St. John's-based Commission of Government, rangers had first-hand knowledge of the tremendous destitution afflicting outport communities. As a result, they often issued higher relief payments than the government authorized. Instead of reprimanding the rangers for opposing policy, government officials frequently commended their leadership and sensitivity. The Rangers also made it easier than ever before for many Labrador residents to communicate their needs and concerns to government officials in St. John's. In 1936, the Commission of Government applied for and received permission from the British Dominions Office to expand the force to 50 members. It also established 18 new detachments – two in Labrador and 16 in southern Newfoundland – and closed two others at Westport and Harbour Deep. The force expanded again the following year to include an additional 12 recruits. The force would eventually grow to 72 members. 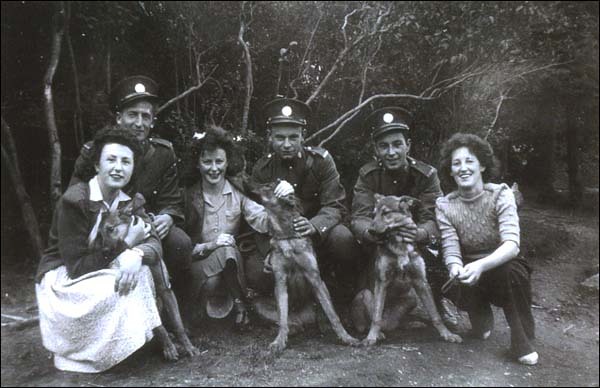 The outbreak of World War Two in 1939 placed further responsibilities on the rangers, who had to enforce rationing and blackout orders, patrol for enemy submarines or aircraft, take military deserters into custody, issue national registration cards to residents aged 16 years or older, and help recruit volunteers for service in the Armed Forces. Although some rangers left the force to serve overseas in the early months of the war, the Commission quickly declared the unit an essential service in order to prevent others from doing the same. After the war, the government asked rangers to secretly report on public opinion relating to confederation and other political matters. The men also worked at polling stations during the 1948 referenda and helped make sure all residents within their detachments were able to vote. Following Confederation, the Smallwood administration decided to dismantle the Newfoundland Ranger Force as a cost-saving measure. Its members could transfer to the RCMP if they wished, but had to drop one rank because of the RCMP's higher pay scale. Of the 56 rangers on active duty when Newfoundland and Labrador joined Canada, 52 joined the RCMP; the remaining four chose not to apply. Before it disbanded on 31 July 1950, a total of 204 men had served on the Newfoundland Ranger Force. For other related articles view the Government and Politics Table of Contents Social Changes section.